I can’t remember the exact date I first heard about the legend of COSRX brand. It seemed like nearly every skincare blogger was singing its high praises. 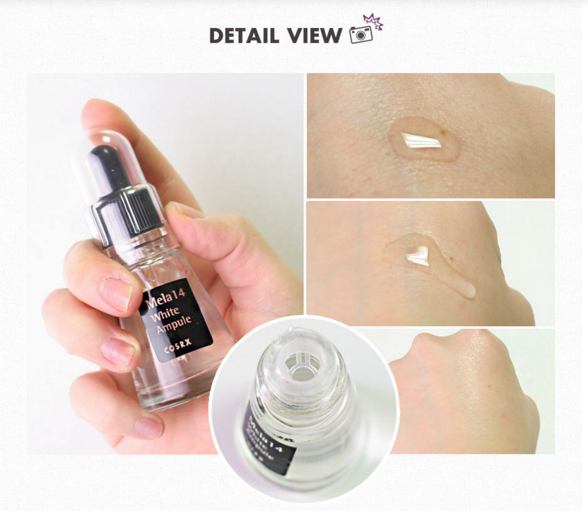 So what exactly is this heaven sent liquid and why is every beauty blogger raving about it? 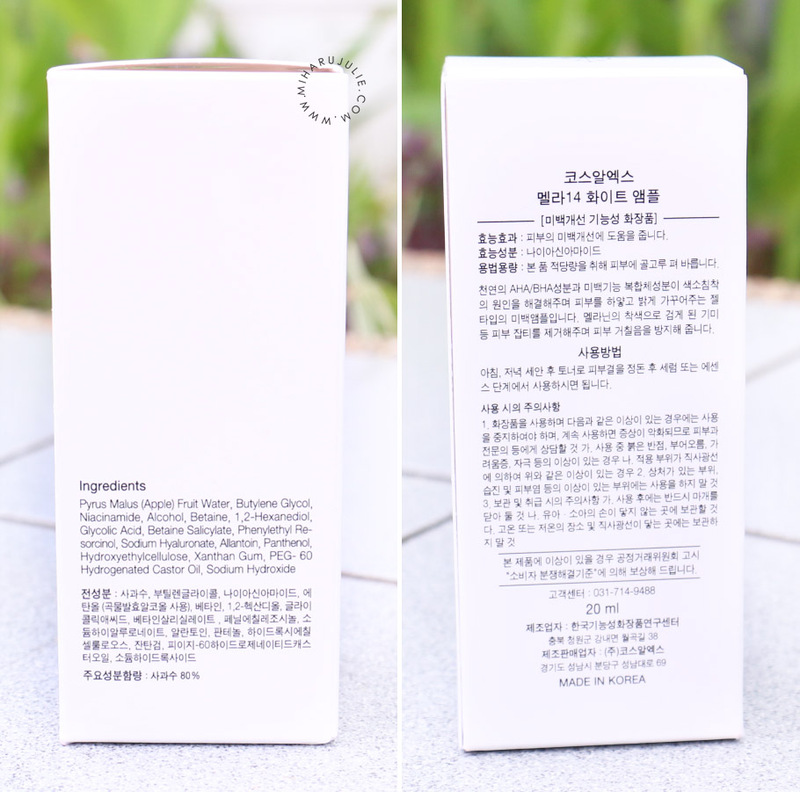 Today I want to share with you my review of COSRX products that I got from Stylekorean. I'm so curious with this brand and so happy that finally I could try them. COSRX, which stands for cosmetics + RD (prescription), is a Korean based brand that creates its products directly from the needs and feedback of their very dedicated customers. COSRX uses safe and natural ingredients to create minimal yet functional products catering to the needs of all skin types. 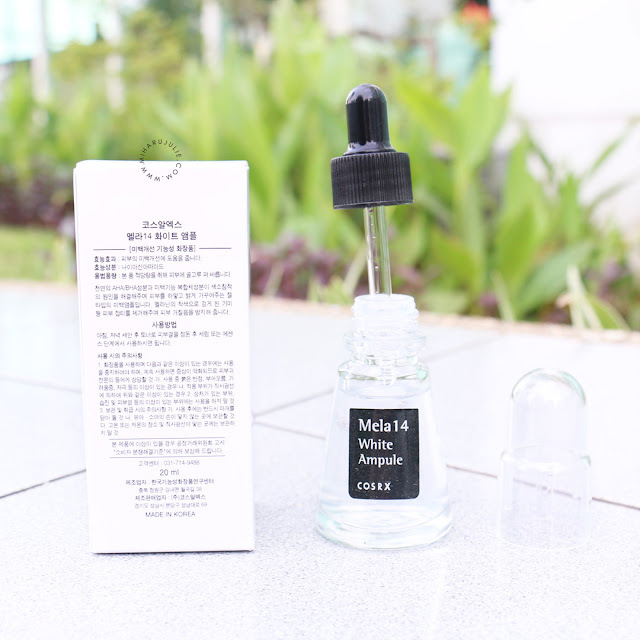 A highly effective whitening blend brightens skin tone, lightens, clarifies, and visibly reduces the dark spots especially for dry and sensitive Asian skin type. The ampule improves entire complexion even when used as a spot treatment. It’s in a simple white box. On side of box, picture of product is printed.It’s covered with a clear cap. Remove it before use.There’s a cap inside. It prevents product from leaking. Spoid allows you to control the amount using. 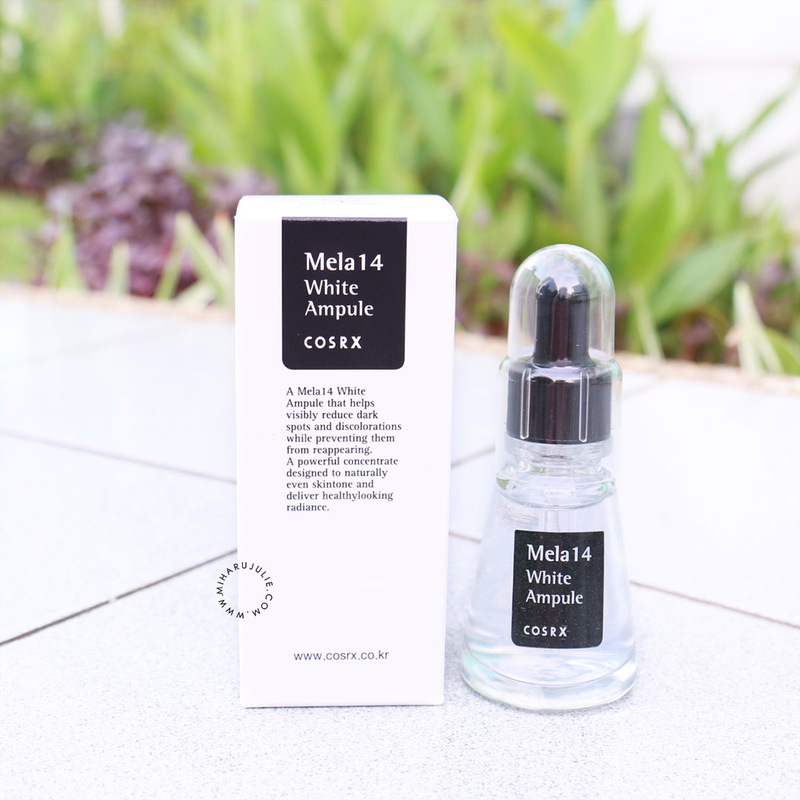 COSRX Mela 14 White Ampule is clear and slightly thicker than water, with a slippy texture that allows it to glide smoothly over skin and doesn't leave your skin feeling sticky. It has a slight chemical odor. The smell fades much more quickly. Does your confusion peak when you read about ampoule, serums and essences? I hope you don't. You may look up on the net and I'm sure you can find detailed answers. 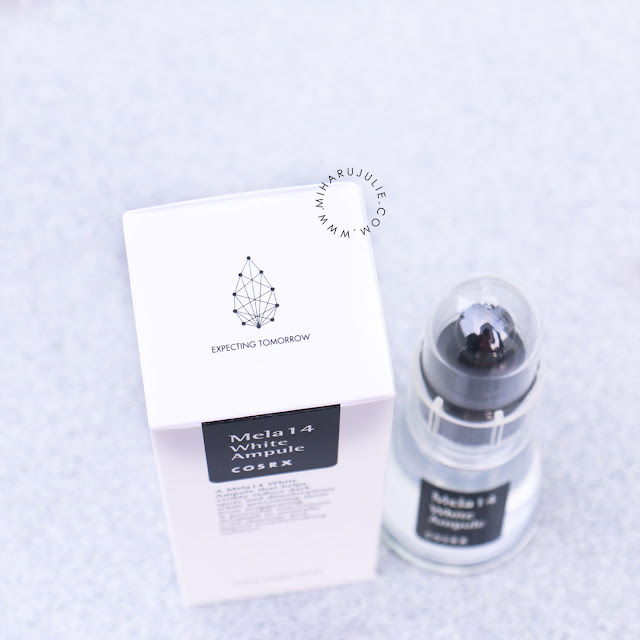 But for the purpose of helping you grasp a better understanding of this product I am reviewing, long story short: an ampoule is a serum that is supercharged with much more active ingredients, meant to used for a short period of time during skin crisis. 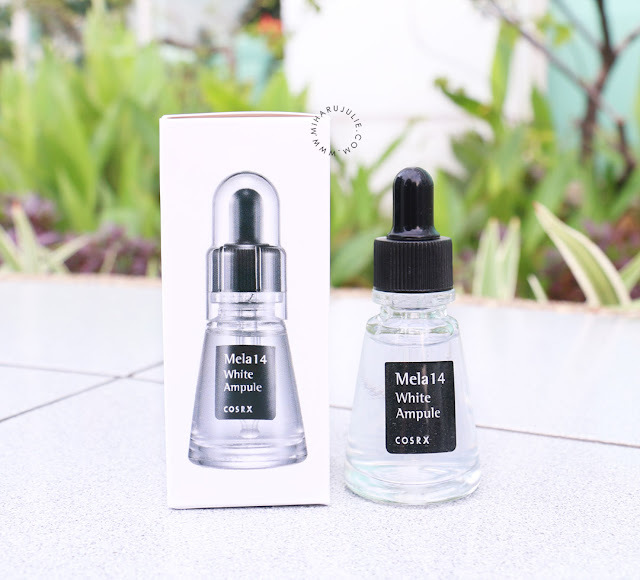 My skin wasn't in a good condition when I use this Ampoule. 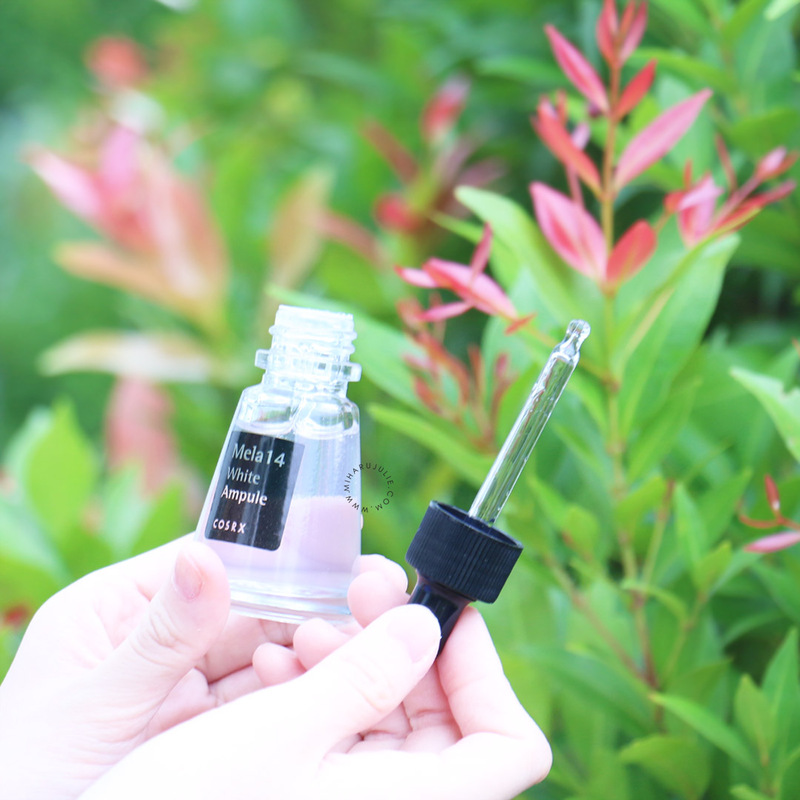 Dry and rough, I thought this Ampoule will make it better! The first week I use this Ampoule, it works nice! My acne scars is look more brighter and clearer, But sometimes make my skin a bit dry. Cosrx suggests you to use toner, ampoule, mask sheet, and lotion for effectual result. God, all of the products are made in another country. I am so amazed by the beauty of young girl. Saty confident girl . Suka sama review ny kak, tp apakah bagus buat kulit kombinasi,dry ato sensitif skin kak? 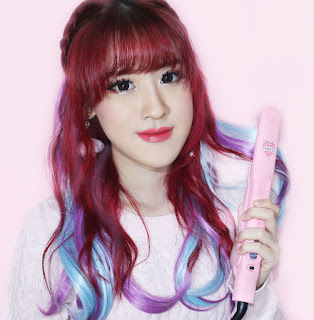 Bagusnya ampule dr Cosrx, kalo Miharu Julie mash pakai gak smpai saat ini..? Hi one question, should we apply after moisturiser or before? Wah kalau buat acne sm yg oily cukup cocok ya ci..soalnya sometimes bikin dry di face n clear the acne.